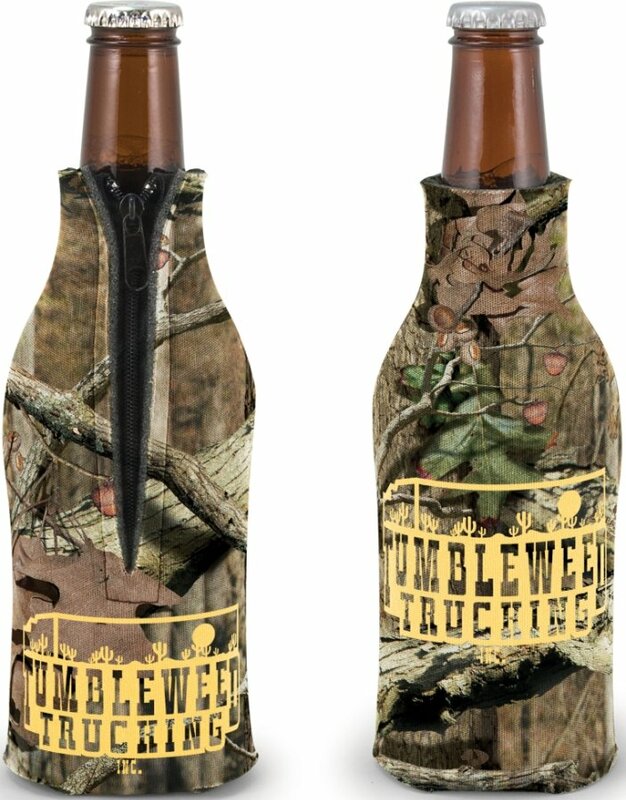 Get your logo on Trademarked Camo Beer Bottle Coozies as promotional items. boat dealers, sporting goods, Oilfield related giveaways, more. zippered nearly to the top of of 12 oz. Longneck Bottles. Delivery from date of an order is usually 2 -to 3 weeks. Price includes a one color imprint both sides 3 5/8" w x up to 2" h.